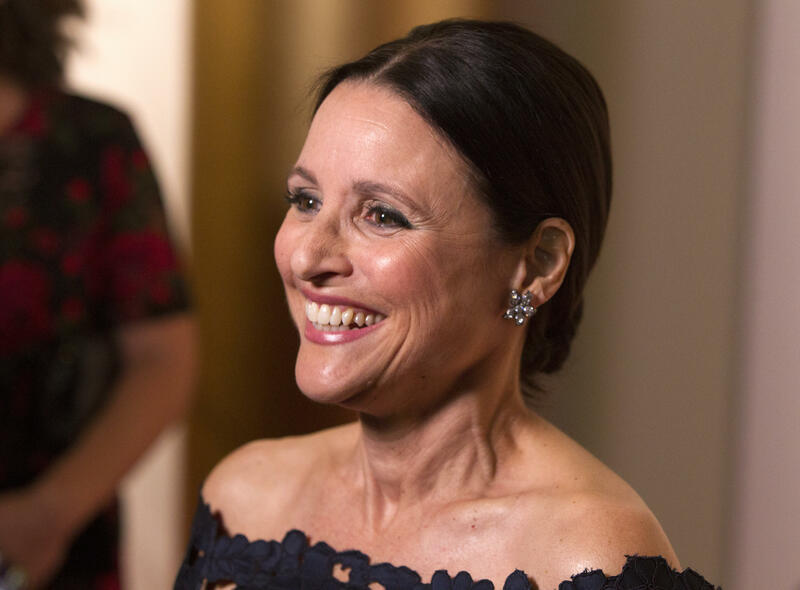 WASHINGTON — Julia Louis-Dreyfus is one of the best-known comedic actresses of her generation, and now she's being recognized with the Mark Twain Prize for American Humor for a lifetime in comedy. She is the 21st person to be honored with the award by the Kennedy Center for the Performing Arts. Jerry Seinfeld, Stephen Colbert and 2010 Mark Twain recipient Tina Fey are among those offering testimonials to her talent. The actress first drew laughs by repeatedly referencing her true life's ambition to be a respected dramatic actress – stopping in mid-speech to deliver a monologue from Shakespeare's "Merchant of Venice." Louis-Dreyfus made a veiled but unmistakable reference to Ford's testimony – framing it around her performance at a high school presentation of the play "Serendipity." Deborah F. Rutter, the president of the Kennedy Center, said in a statement, "Like Mark Twain, Julia has enriched American culture with her iconic, unforgettable, and outright hilarious brand of humor. Over four decades, her wildly original characters and her gift for physical comedy have left us in stitches." Production on the upcoming seventh season of "Veep" was delayed as Louis-Dreyfus received treatment for breast cancer. Recently, Louis-Dreyfus appeared on Jimmy Kimmel's late-night show, which had broadcast from Brooklyn last week.